It’s time to clock in and manufacture your own fortune with this astounding Pokie. Gold Factory Pokie not only offers a truly splendid selection of features but also a highly entertaining theme to accompany all the industrial action. 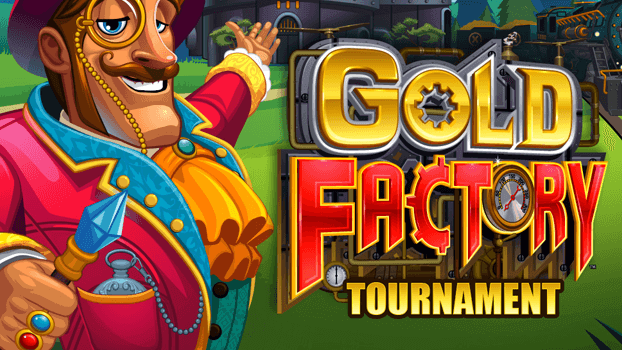 Thematically Gold Factory Pokie deals with a character not unlike Willy Wonka who generously grants fortunate players access to his elaborate gold factory and allows them to experience the thrills and inner workings of the entire manufacturing process. Gold Factory Pokie is a 50-Payline real money pokie, that boasts quirky yet extremely detailed cartoon-like graphics throughout and presents an extremely upbeat soundtrack to accompany the gameplay. Seeing as it’s a Microgaming™ title you can rest assured that the animation is guaranteed to be glitch-free and to be as smooth as molten gold. Gold Factory’s drawing card is the multi-level Bonus feature. The Boiler Room Bonus feature is triggered when 3 or more Scatters represented by the Gold Bonus medallions appear on the reels. The Boiler Room Bonus offers you 12 items from which you can pick 4 to reveal hidden prizes. Once this feature is triggered you can count on another two Bonus features being initiated if you strike it lucky. Once you enter the Free Spins room you’ll have the choice of selecting one of two buttons. Depending on your choice you’ll be awarded a random number of Free Spins ranging between 10 and 35 Spins with a guaranteed 2x Multiplier on all wins. This Bonus feature opens the door to the Reactor Room where you’ll have the opportunity to interact with 12 chambers that offer you a variety of prizes until a malfunction token appears that halts the feature and returns you to the Boiler Room if you have any unclaimed picks. 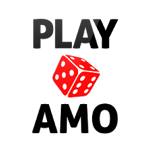 This title supports a broad range of bankrolls with its coin size ranging from 0.01 to 0.50 and a maximum bet of 500. In addition to the Bonus features the game also offers you a chance to win up to 309,500 in the Gold Factory Bonus feature. The Base Game gives you an opportunity to win a maximum of 75,000 and the Free Spins feature offers you a maximum jackpot of 150,000. Based on all the above-mentioned features I’ve decided to award Gold Factory Pokie 5 out of 5 stars. The multi-level Bonus feature as well as the possible jackpots that you could very well walk away with sealed the deal. I also fancied the graphics and the fact that any bankroll could afford this highly entertaining game. Seize this golden opportunity and add bullion to your vault right now! Users must be over the age of 18 years to use www.casinoaus.com.